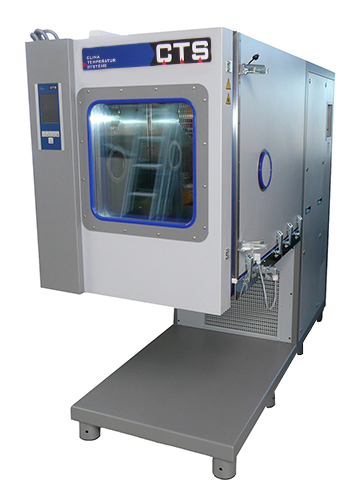 The CTS temperature and climatic vibration test cabinets can be combined with all common types of shakers. Whether vertical or horizontal vibration, the modular, standardised CTS components offer you all possibilities for performing your tests to your requirements. We can also supply complete systems with shaker on request.